Ralphie Parker is a 1940’s nine-year-old who pulls out all the stops to obtain the ultimate Christmas present – a Red Ryder Carbine Action 200-Shot, Range Model Air Rifle. Many obstacles stand in the way of his dream because every adult keeps telling him he’ll shoot his eye out. Christmas is drawing nearer and Ralphie visits Santa at the department store in hopes of asking for his dream gift. Will he receive it? The Christmas story with red rider bb gun is the best. 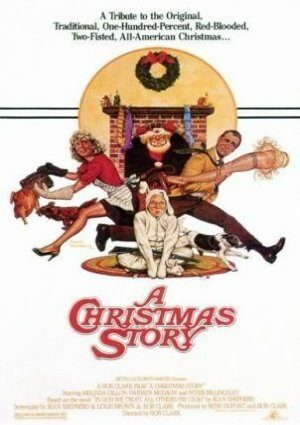 LOVE IT….best movie ever and it wouldn’t be Christmas without it!!!!! One of THE BEST, if not THE BEST Christmas Shows !!!! Really Great ! !